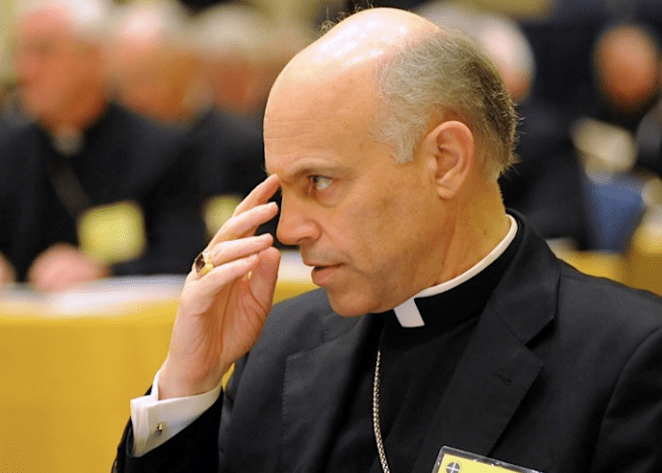 On Thursday, October 4, Salvatore Cordileone — an outspoken anti-gay activist — will be installed as the head of the San Francisco Archdiocese. This is a slap in the face to the San Francisco LGBT population, but more importantly an affront to all equality-minded Catholics in the Bay Area. GetEQUAL — a national civil rights organization fighting for full equality for LGBT Americans — will protest his installation and to stand up for the dignity of ALLCalifornia families. Oakland Bishop Salvatore Cordileone was one of the major voices in the campaign to pass the discriminatory Proposition 8 in California. He is the head of the United States Conference of Catholic Bishops Committee for the Defense of Marriage, whose sole purpose is to “defend” marriage from inclusion of loving and committed gay couples. His past radical-right political partners have included the National Organization for Marriage (NOM) and Focus on the Family. The protest is open to the public and all members of the community are welcomed to join. J. Matt Barber Of The Kidnapping Suspected Hate Group The Liberty Counsel: We Will Boycott PayPal!